Student & Alumni Stories, SWC Blog, Where Do Southwestern College Grads Work? One of the greatest gifts of my education at Southwestern College was being taught to pay attention to my own body and feelings when I’m in session with a client and to TRUST that information as a diagnostic and treatment approach tool. I meet so many people who trained at other schools who were taught the opposite approach: DON’T pay attention to yourself in session, just use your thinking: use a “technique” that you’ve memorized. In my practice I work with counselors and helping professionals and often come across this old belief that they were taught. The result is helping professionals who are not only not present to themselves in session but who also are not really even present with their clients. And almost without exception these folks are experiencing a significant level of anxiety and fear, either situationally or as a low-grade constant in their work. They often try to respond to this anxiety by learning more “tools” or seeking more external advice. Now to be clear: I absolutely believe in the need for education and “tools,” and I am devoted to my own continued learning. But intellectual information and therapeutic models are just one type of tool. There is far more within us. So I suggest to my clients who are helping professionals that when they are with their clients they tune in to their own experience in the moment. I invite them to notice if they feel tense, or angry, sad or disconnected. What happens is that they are surprised to discover that their bodies and experiences mirror what the client is experiencing or projecting, and are both relevant and instructional. It is also remarkably comforting. When I realize that I can trust and listen to myself, that the information that I need is already within me, I am instantly relieved. It’s not all up to in brain to “figure it out.” I actually come equipped with a variety of senses and types of intelligence that will provide me the information I need to not only make my life easier, but to support my clients in accessing their wisdom. As I more regularly practice tuning into my own body and feelings, I also build my capacity to tune into what I call Inner Vision, or Intuition, that deep wisdom within us all. The longer I do this work, the more often I notice that my Inner Vision guides me to simply be present with this client and listen: that trying to figure out what I’m going to DO is actually taking me away from them, and their needs. And perhaps even more importantly for us as helping professionals is that as I learn that I can trust the wisdom within me to guide me, I will be able to model and trust that that same wisdom lives within my clients as well: that they have within them everything that they need, and my job is simply to hold that knowing and sit with them in their discovery of it. I believe that is the real gift and service of therapy: to honor my clients and trust the emergence of their own wisdom. Arianna Gray, MA, LPC graduated from Southwestern College in 2005, and has a private practice in person and online supporting counselors and helping professionals to break through burnout and get re-inspired in their work and lives. To visit her website click here. 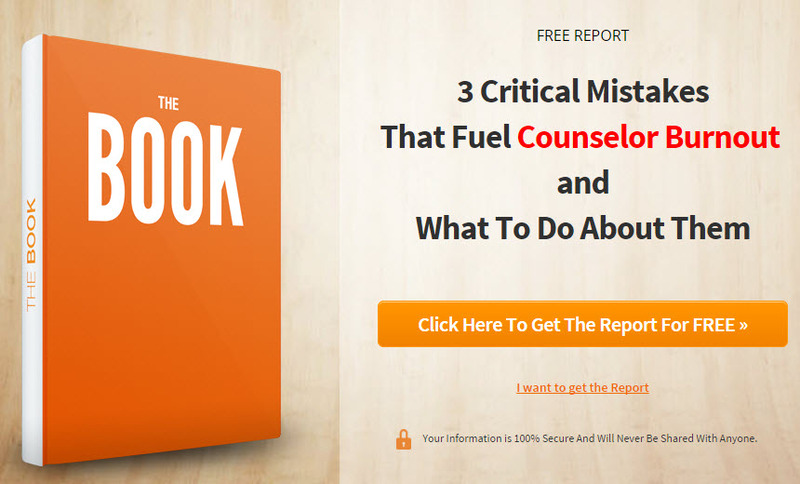 You can access her free report “3 Critical Mistakes that Fuel Counselor Burnout and What to DO About Them” click here.